Mensusa https://www.mensusa.com/articles/a-3-piece-suit-black-is-for-your-every-purpose.html A 3 Piece Suit Black Is For Your Every Purpose While buying something everyone always have to take care of making a long term investment. And when you invest your money on a 3 piece suit black while buying your dress, you can be sure to invest your money on the right thing as a suit is for every purpose. Suit is the thing which has taken its permanent place in the world of men's fashion. And because of its huge popularity among men various designs of suits are appearing in the market day after day. Suits can come in different number of pieces and a very famous type of suit is 3 piece suit. The particularity of a 3 piece suit black is the waistcoat that is to be put on with it. The waistcoat or vest is the thing that distinguishes the 3 piece suit with other design suits. The 3 piece suit is applauded by every man and that's why it has made its place to be used in various purposes. Basically a 3 piece suit gives somewhat formal look that's why it is sure to portray the sophisticated look of yours. 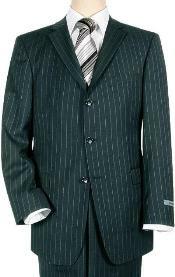 While talking about a 3 piece suit, it has to be mentioned first that this suit is ideal for business purpose. When you are going to attend a meeting this suit is sure to present your unique impression among everyone. So if you have a 3 piece suit in your closet, you can get rid of the tension that how to create a good impression in front of your clients as your dressing sense depicts a lot about you. Just like creating your impression in your business, the 3 piece suit is able to portray your personality in your office as well. That's why it is perfect for your office wear and once you invest your money in this suit you can be sure to make a wise decision as you can use it as a party wear too. No matter if you are going to attend a party or planning for a candlelight dinner with your special one, your suit with the waistcoat can give you extraordinary appearance and make you moment really exceptional. There is nothing to say that marriage is a beautiful experience of everyone's life and everyone wants to make this particular event memorable throughout his life. So wearing perfect attire for that day very much important and a suit with a waistcoat not only serve as your office wear, it can complement your attire perfectly on the day of your marriage. And once you visit www.mensusa.com, you get to select your own suit from the huge range of 3 piece suit. For its huge popularity and versatile utility, a 3 piece suit can be said to be a must have in a gentleman's closet. There are huge color options available into these suits among which you can select a suit according to your necessity as different colors able to give your suit a singular appearance. But if you are looking for to use the suit for every purpose, your best options will be invest your money on a 3 piece suit black because either it is day or night, a black suit can fit in any purpose.